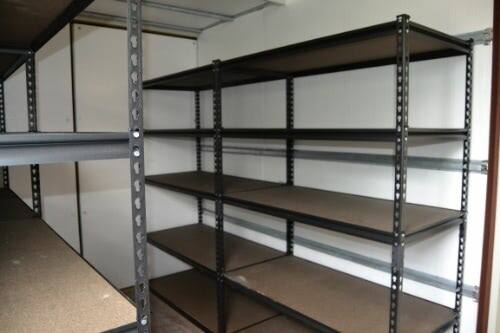 Stay organized and efficient with the climate-controlled storage container with shelving. 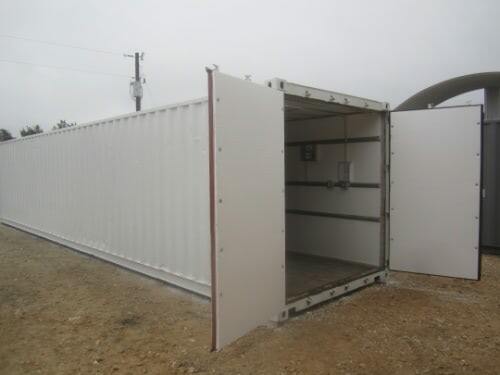 Inventory is easy to access and safe from humidity inside a modified shipping container. Efficiently organize equipment, supplies and raw materials on adjustable shelves along one or both container side walls. 160 square-foot or 320 square-foot of secure, weather-proof and rodent-proof space. Each durable 3'l x 1.5"w shelf holds up to 800 lbs. Includes HVAC unit, 1" Sytrofoam panel insulation (R-rated), adjustable shelving, 4' overhead lights, and 3'w x 6'8"h steel personnel door with lever and deadbolt. Consider adding optional access through a convenient and secure steel personnel door.